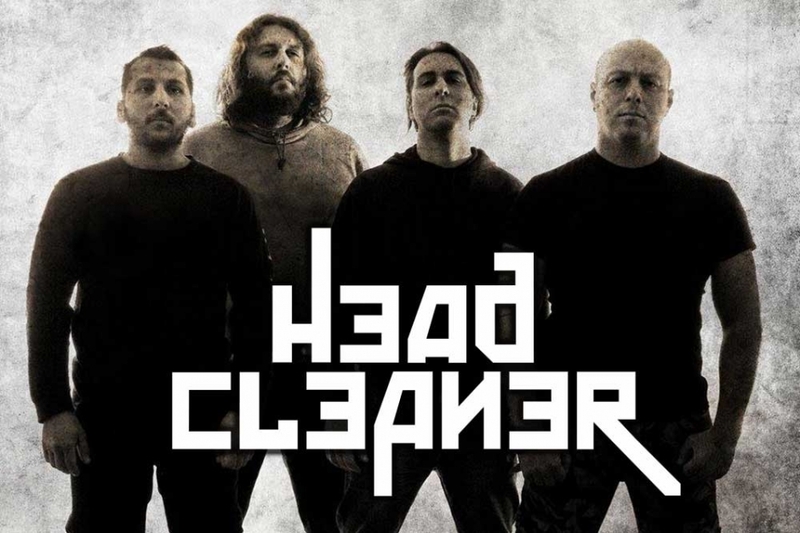 The death/grind grinder from Greece called HEAD CLEANER produces a high-quality and technically complex mosh similar to the production of the giants of Napalm Death from the last decade. HEAD CLEANER is not a bunch of newcomers though but experienced veterans of Greek death/grind scene, who have released a vast number of quality recordings. The latest one being a split LP with Progress of Inhumanity. This squad will certainly be welcome as another genre stalwart at the next year Obscene Extreme!!! The first is set between 2002 and 2004, when the band's frontman Jim “Mitch” E. and Vasilis P., sided by session musicians, created the first full length album titled “Intellectual Oxygenation” (2003), which by the way is close to becoming sold-out. The second -and the most productive- period of HEAD CLEANER started in 2009 and unfolds until today. Mitch together with Costas, Billy and Lefteris as permanent members, recreated the band on a more death/grind/crust basis, releasing the band's second full length album titled “The Protest” (2010) as well as a mini CD titled “Resistance, Determination and the Sheer Will to Overcome” (2012), which has earned astonishing comments internationally, both from printed and electronic media. In February 2013, Screaming Victims Distro, released a 7” EP titled “Days of Wrath” and in April of the same year, United Guttural Records from USA, released their 3rd full length album under the title “Of Worms And Men”. Currently, distros and mail orders worldwide include all the releases of Head Cleaner in their catalogues. In 2014 Head Cleaner were even more productive. Early in the year a 4-way split was released, together with GrassRoll, WreckAge and En Psychro and in October 2014 they released one more split LP with Progress of Inhumanity through their new label, Screaming Victims Distro. Along with this work, HEAD CLEANER have recorded half a dozen new songs for various artists compilations, produced 6 official video clips and played dozens of live shows.